"Thereafter Elen thought to make high roads from one stronghold to another across the Island of Britain. And the roads were made. And for that reason they are called the Roads of Elen of the Hosts..."
From the banks of the River Conwy in Clwyd, North Wales, through the majestic beauty of Betws y Coed and Dolwyddelan in Snowdonia, down to Dolgellau, near the mighty Cader Idris and a small field known as Camlan, continuing down across the Breacon Beacons to Carmarthen in the south of Wales a collection of roads known collectively as Sarn Elen (Elen’s Way or Road) connecting the north Walian coast with the south. This ancient trackway was certainly used by the Romans during their occupation of Britain but there is a great deal of evidence to suggest that it is much older. Within certain stretches it forms a “ridgeway” comparable with the elevated trail utilised by ancient farmers local to the megalithic Avebury region. Within Welsh folklore Elen, called the mother of Custennin Fawr within the Brut y Brenhinedd, and Helena, mother of Constantine the Great within Geoffrey of Monmouth’s Historia Regum Britanniae. The fact that she lived some sixty years later than Helena of Constantinople, the real mother of Constantine the Great seems to have been lost on a number of “historians” since, but this shouldn’t distract from what can be gleaned from the myths. 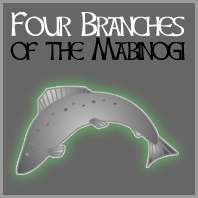 One of the earliest tales that mentions Elen is The Dream of Macsen Wledig, one of the tales which makes up the collection known as the Mabinogion. The tale is a romanticized story about the Roman Emperor Magnus Maximus. The tale begins with Macsen Wledig, emperor of Rome, falling into a deep sleep after going hunting, dreaming of a mysterious court within a far away country. In the dream, a stately old man sat on an ivory throne, carving chess pieces out of pure gold. Two red haired youths, dressed in black silk, sat before him, playing gwyddbwyll (an ancient Celtic game similar to chess) upon a silver board with golden pieces. Within his dream he sees a great vision of beauty, a red haired maiden, seated on a throne of red-gold, and falls instantly in love. Sending out messengers throughout the empire they eventually arrive in Britain and the castle of Eudaf, son of Caradawg. There they see the two red haired youths, his sons Cynan and Gadeon, and the maiden, his daughter, Elen. . She informs the messengers that if Macsen wishes to marry her he must come to Britain. Leading his army Macsen invades Britain and makes his way to Elen who asks for the three islands of Britain as her dowry. Elen Lluyddog (‘Elen of the Hosts’) has roads built from one fortress to another throughout the land to protect her domain. Tied into the tale is some historical truth, Macsen Wledig (Magnus Maximus) did come to Britain, and did marry the daughter of a native chieftain, but within the tale there are also links to much older traditions. Elen has a number of charactistics of a sovereignty goddess, the fact that Macsen has to prove himself in order to woo Elen and Elen asking for the land as he dowry all hint towards Elen as a goddess of the land itself. There are a number of Elens and Elains within Brythonic and Arthurian tales all who see m to share certain charactistics. In the Vulgate Cycle and later works, Elaine of Corbenic was a lover of Lancelot and mother of Galahad. She is the daughter of King Pelles, the Fisher King, and is herself a Grail Maiden. Her son Sir Galahad is one of only three achievers of the Grail. Elaine of Benoic was the wife of King Ban and the mother of Lancelot. She is the sister of Evaine, wife of King Bors and mother of Sir Lionel and Sir Bors, another achiever of the Grail. As with many others Elen was absorbed into the mythos of the expanding christian church becoming St Helen of Caernarfon, and there appears to be an almost deliberate fusing of this Elen with St Helen (Helena of Constantinople) the mother of Constantine the Great. Elen herself is said to have had a son called Custennin Fawr (Constantine the Great, though not THE Constantine the Great), and was seen as ancestrix of almost all of the royal houses of Britain. Throughout Britain Helen was a popular dedicatee of churches particularly within the North of the country. More “holy” wells were named for Helen than for any other non biblical female saint. The saint was invoked for the finding of lost objects and possessions, including cattle. It is clear that the dedication to St Helen replaced an older dedication to some unknown Northern Goddess, whether this was Elen, or even that she was a Goddess, is open for debate.